This has to be one of my favourite packages I have received since blogging. 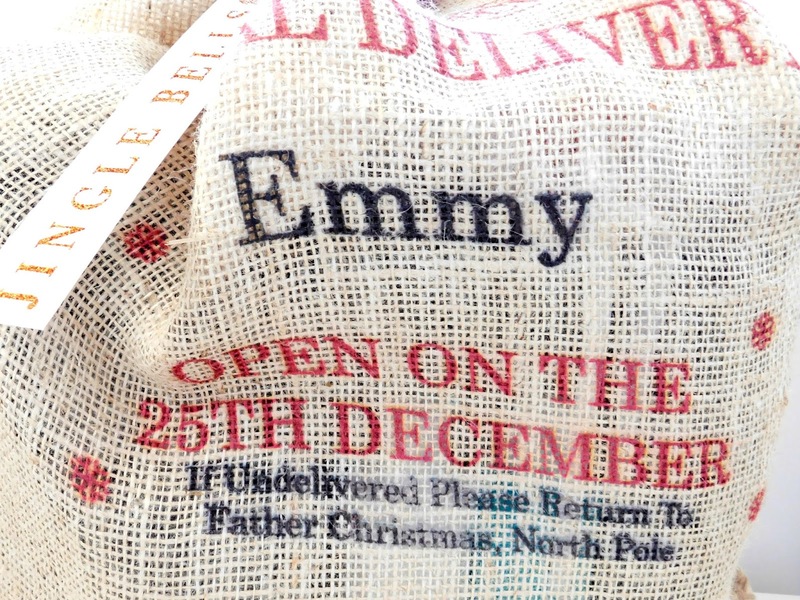 I had a huge Santa's sack arrive on my doorstep and I couldn't believe how big it was. The sack was personalised with my name which made it even more special then when I opened it I saw all the goodies inside. There is nothing better than receiving surprise gifts. How cute is this?! It is lovely to see when brands/PR companies go that extra mile and appreciate what we do. 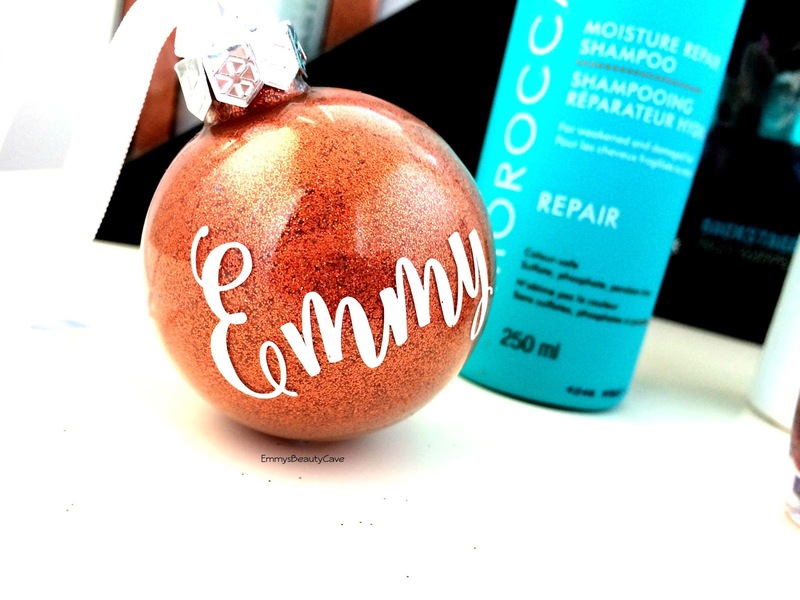 I also got a personalised bronze glitter bauble which is stunning. It is already on my tree! Of course you can't get a Santa's Sack without a candy cane! 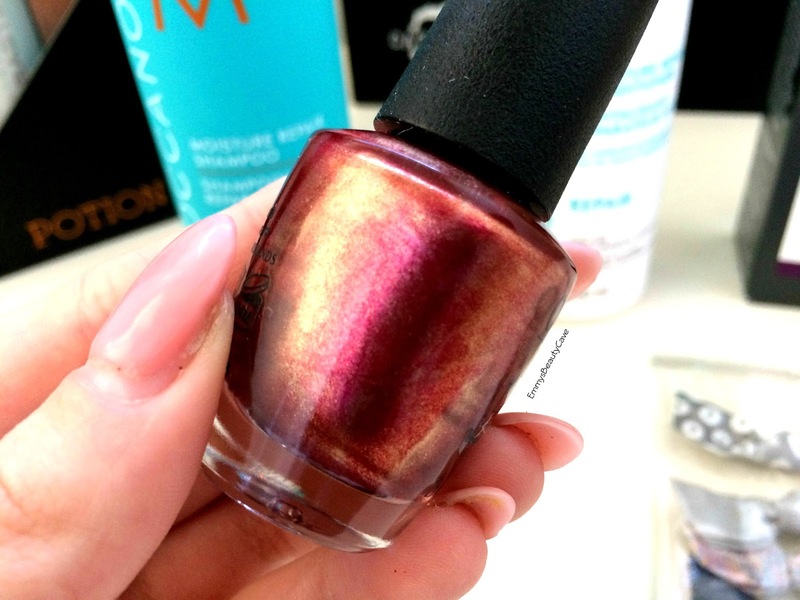 Seriously though how stunning is this shade?! I am in love, I currently wear gel nails but I will be using this on my toes. It is such a Christmassy shade. I was so excited when I saw this. It is a multi benefit serum that blurs imperfections and protects the skin. 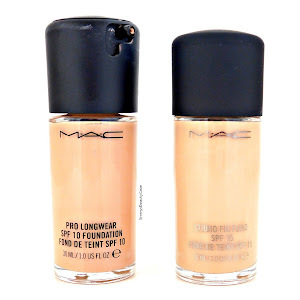 It has SPF 30 and it helps create a smooth base for foundation. The Moroccan Oil range is one of my favourite hair products. 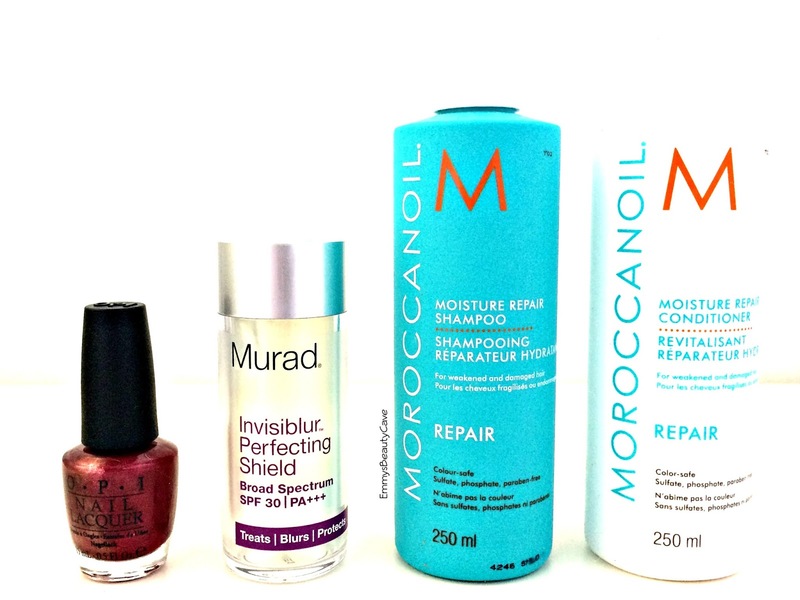 I have tried quite a few products from them in the past but not these moisture repair ones. My hair is in need of some repair as it gets quite dry in the colder months. 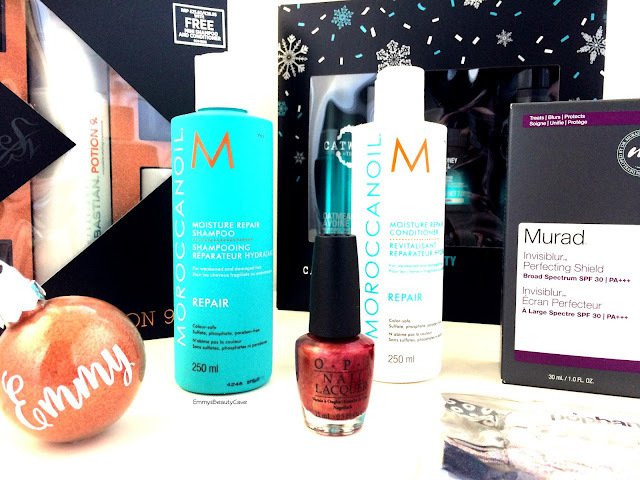 The Moroccan Oil range smells amazing and it has already made my hair feel better after just one use! TIGI is a brand I have always wanted to try, my mum has used some of the products in the past. Can we just take a moment to stare at the pretty packaging? I am obsessed. 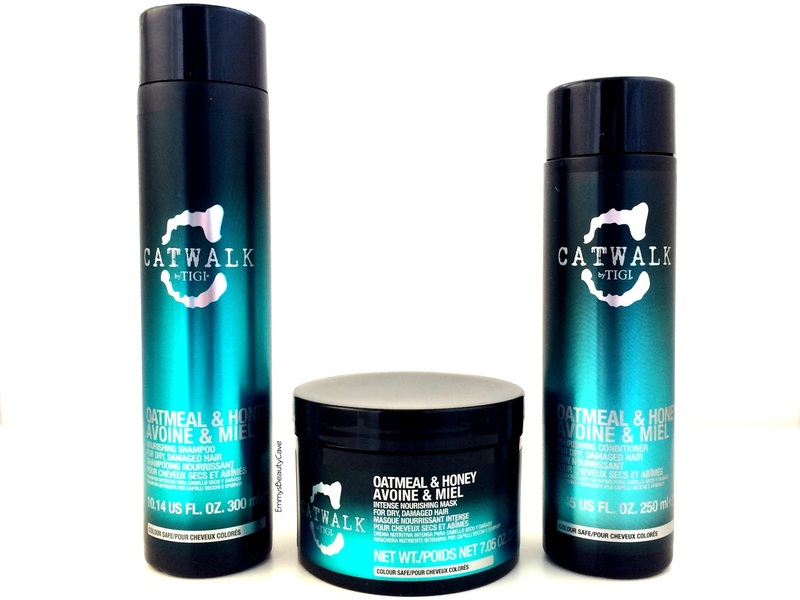 In the gift set you receive 300ml Oatmeal & Honey Shampoo, 250ml Oatmeal & Honey Conditioner and 200g Oatmeal & Honey Mask. The scent smells so good! I could sit and smell it all day, not weird at all right? I like to use a hair mask once a week so I can't wait to test these out. I actually hadn't heard of this brand before. 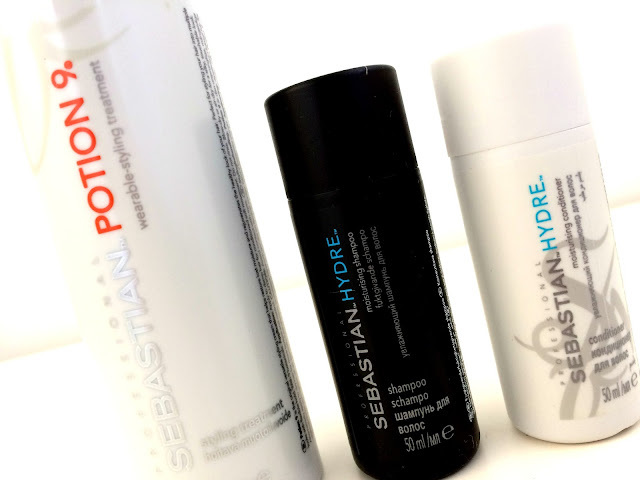 In the set you get 150ml Potion 9, 50ml Shampoo and 50ml Conditioner. This range is aimed at dry and frizzy hair. The past few months my hair has become so frizzy! It must be the change in the weather so these products will come in handy. I am over the moon with everything. I can't wait to start using more of the products and see how they work. Individual reviews coming after Christmas! 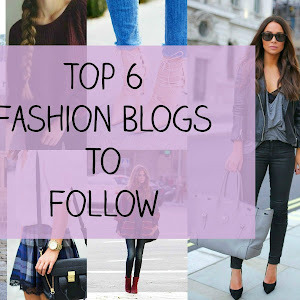 Definitely check out some of these brands. The next hair care product on my list is these stunning Copper GHD's! 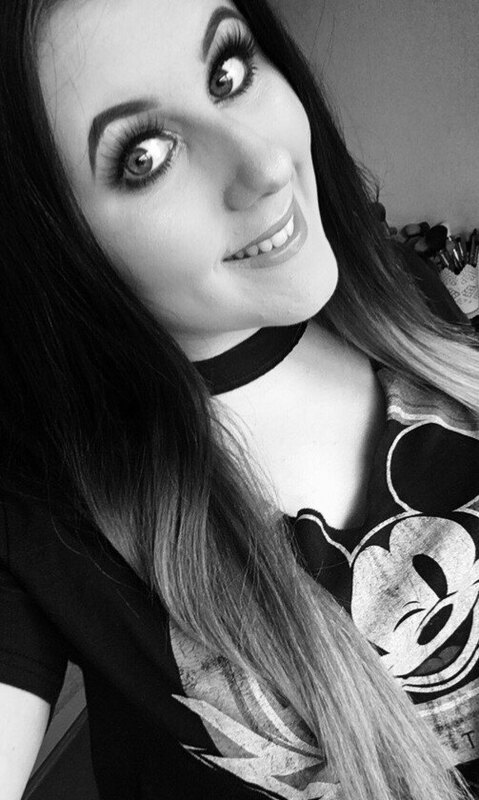 My hair is extremely thick it takes two hairdressers to dry it, I find not many hair stylers/straighteners work on my hair so I am on the hunt for some new ones.